Catering and security workers at the Sellafield nuclear site are to go on strike next week in a dispute over pay, joining thousands of other employees taking action on the same day. Members of the GMB union employed by private contractor Mitie will walk out for 24 hours from 6am on November 29 in protest at an imposed 2% wage increase. 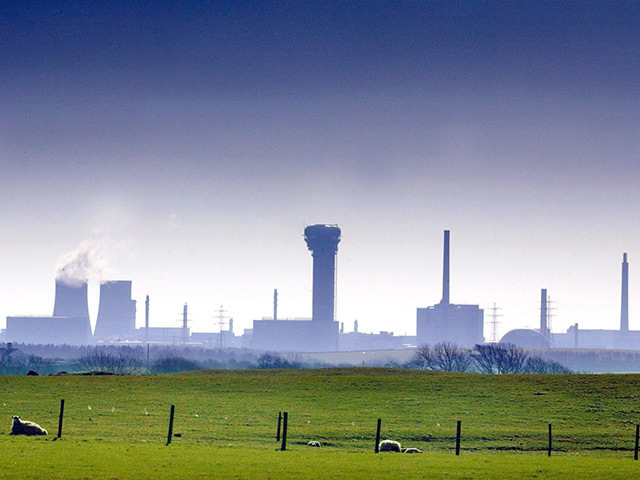 Up to 3,000 other GMB members will be on strike at the same time in a separate row with Sellafield Ltd over a 1.5% pay rise. Around 300 ancillary staff are involved in the new dispute. Chris Jukes, GMB senior organiser, said: “Our members working for Mitie at Sellafield do vital jobs that may not be seen by everyone in management as exciting or important, but the site cannot function effectively and safely without them. “It is highly regrettable that neither Mitie nor Sellafield management properly value the work GMB members are doing, forcing them to resort to strike action to get fair treatment. “They are the last people you are likely to see walking out. “GMB members working for Mitie see eye-watering amounts of money paid to Sellafield Ltd executives who then package up contracts to be provided by companies like Mitie with pay rates of £7.65 per hour.